Craig and his 7 franchisees run a successful lawn mowing and gardening operation in the Whanganui region. 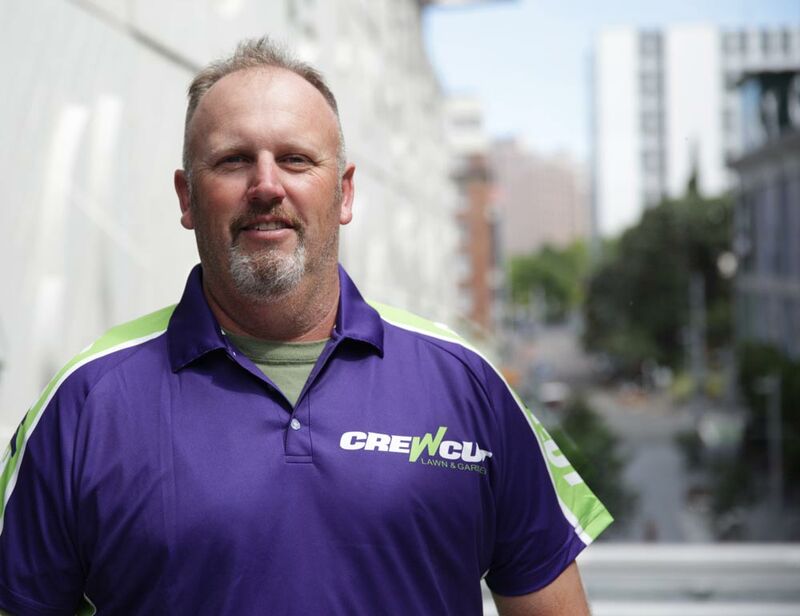 Craig started his career in 1984 with the RNZAF as a motor mechanic. 8 years ago He and his wife decided it was time to do something for themselves so they started looking for a business venture. Working outdoors was one of the requirements so they considered lawn mowing. After looking at a range of different businesses and companies Crewcut kept rising to the top. We bit the bullet and contacted David who came and met with us while we were in Auckland. Starting the business from scratch was a challenge with no customers, either lawn or garden bag. In no time numbers had grown and we had a solid customer base. Within 13 months we had sold our first franchise and things have grown from then. Crewcut has allowed us to have the freedom we wanted while our children were at high school and it has allowed us to have the independence that we wanted out of having our own business. If you're interested in our services or becoming a Crewcut franchisee yourself, please contact us, or click the button below to find out more.